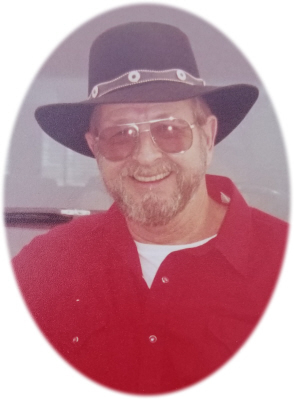 John Ray Sheldon age 78, of St. Johns, MI, passed away Wednesday, October 24, 2018, at Ashley Care Center, Ashley, MI surrounded by his family. According to John's wishes, cremation has taken place and a celebration of John's life will take place at a later date. John was born in Boyne City, MI on May 7, 1940, the son of Emery Ray and Mildred Mae (Crowe) Sheldon. John attended school in Muskegon, MI. He resided most of his life in the St. Johns area. John loved carpentry and spent his life using his skills. He was a hard worker. John had a big heart and loved to help friends out with carpentry work. He enjoyed riding his Honda Interstate. John is survived by 4 sons: Don Ray (Jean) Sheldon of Pellston, Kenneth Alan (Lisa) Sheldon of DeWitt, Earl Michael (Theresa) Sheldon of St. Johns, and Todd John Sheldon. He is also survived by 9 grandchildren: Tonya Leonard, J.D. Sheldon, Michael Ray Sheldon, Jeremy Sheldon, Kay Lynn Sheldon, Kara Sheldon, Kaden Sheldon, Todd Sheldon, and Cheyenne Sheldon; 5 great grandchildren: Kadence, Cain, Zachary, Jayden, and Kaylee; sister Penny (Randy) George, and several nieces and nephews. John was preceded in death by his parents, infant brother Jerry Sheldon, and sisters: Delores Baker and Wilda Miel (who passed away on October 17, 2018). Online condolences may be left at www.smithfamilyfuneralhomes.com. The family is being served by Smith Family Funeral Homes - Osgood Chapel, St. Johns, MI.